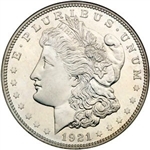 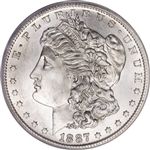 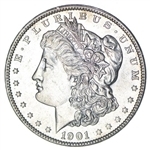 The Morgan Silver Dollar was minted between 1878 and 1904, and once more in 1921. 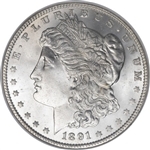 These Liberty Dollar coins were produced once the ban on using silver for coinage was lifted. These coins were minted at five different mint locations, Denver, Philadelphia, San Francisco, New Orleans and the famed Carson City facility. 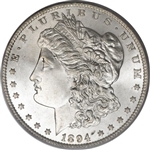 When you buy Morgan silver dollars from U.S. State Quarters’ online store, you receive only quality pieces. 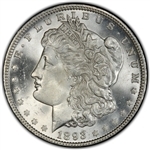 We have silver Morgan dollars for sale from each of the U.S. mints that existed during this coin’s life and a wide range of years to choose from. 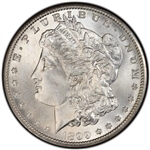 All of our Morgan silver dollars range from good to brilliant uncirculated condition. 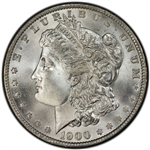 We offer several hundred Morgan Dollars in our current inventory. 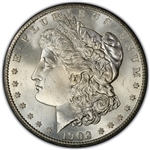 Each of these coins have been graded using strict Photograde standards. 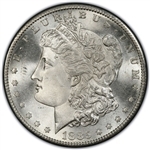 Most of the Morgan Silver Dollars we have available are raw coins, but from time to time we do have third party graded silver coins from PCGS, NGC and ICG available. 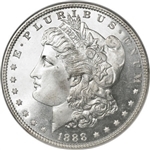 We strive to have the lowest prices available and are able to do so, as we do not have to pay for a brick and mortar store front which keeps our costs low. 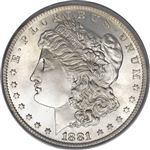 We have been in business online since 1999 and have filled hundreds of thousands of orders for silver dollars and other coins. 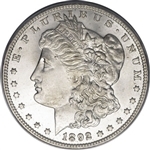 Morgan Silver Dollars were minted at various U.S. Mint facilities during their production. 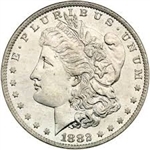 The most prized would be the Carson City Mint in Nevada. 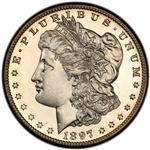 You also have the Philadelphia mint, San Francisco mint, New Orleans mint and the Denver mint. 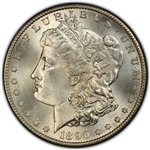 You will find some of the best deals online while browsing our selection of Morgan Dollars. 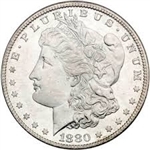 Keep in mind that we also carry a wide range of coin albums and folders to house your Morgan Silver Dollar collection in as well.